We all want to be clever. We all want to be quick. There’s a reason why Sherlock Holmes and Chuck Norris are such well-beloved characters – they handled business with aplomb. I also believe there is something of a hidden rogue in each of us, that we all want to have that spark of crazy bravery which led bold individuals to do historical things. Even if we don’t have it ourselves, we probably wish that we did. Or… at least… had some in our heritage. And that’s where my story of nine-times great-grandfather comes in. John Bissell was born in 1591 in Somerset, England. He died at roughly age 86 in Hartford, Connecticut. He may or may not have been descended from Huguenot forefathers who could have escaped from France ’round about when they were all getting killed. Regardless, it appears he landed at Plymouth, MA with a wife and three children in 1628 with his brother. He’s recorded as having joined the church in Hartford. And served on 12 juries. Now, this is where it gets good. Almost 30 years after landing in Plymouth, John Bissell has gotten himself established in a community, got himself a farm, and a family. All’s well in his world. 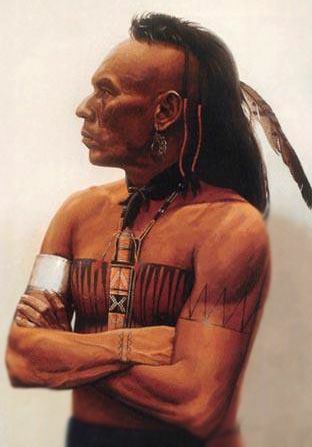 1656 – He was at work in a hay meadow one day when a Scantic Indian came running toward him and implored his protection. Thinking quickly, Mr. Bissell instructed him to lie down and then proceeded to roll a bunch of hay over top of the poor fellow, concealing him very effectively. He had hardly done this when a group of Mohawks (the bad guys in the “Last of the Mohicans” movie) came running furiously up in pursuit of this other Indian. They demanded to know if Mr. Bissell had seen the fugitive. He pointed off somewhere in the distance and the band of Mohawks took off in a hot chase after the man under the hay. And, thus, the poor Scantic Indian was saved. John Bissell’s last will and testament lovingly bequeath his estate to his sons and daughters and grandchildren. So… he was just a pretty cool sort of first-generation American. Some of us might be feeling our patriotism a little sprained lately, and I hope this tale of early American altruism helped. Remember to be kind, be clever, and be good my lovely bloggers.